Lidar--a technology evolved from radar, but using laser light rather than microwaves--has found an astounding range of applications, none more prominent than its crucial role in enabling self-driving cars. 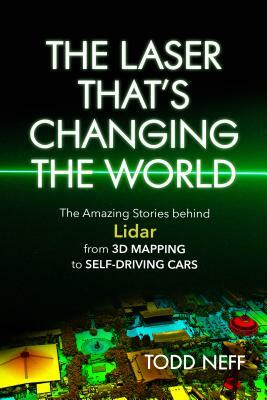 This accessible introduction to a fascinating and increasingly vital technology focuses on the engaging human stories of lidar's innovators as they advance and adapt it to better understand air, water, ice and Earth - not to mention mapping Mars and Mercury, spotting incoming nuclear warheads, and avoiding pedestrians and cyclists on city streets. Award-winning science writer Todd Neff invites readers behind the scenes to meet some of the great innovators who have explored and expanded the uses of this amazing technology: people like MIT scientist Louis Smullin, whose lidar bounced light off the moon soon after the laser's invention; Allan Carswell, who plumbed the shallows of Lake Erie en route to developing the aerial lidar now essential for coastal mapping and hurricane damage assessment; Red Whittaker, the field robotics pioneer who was putting lidar on his autonomous contraptions as early as the 1980s; and David Hall, whose laser sombrero on a Toyota Tundra gave birth to modern automotive lidar. These are just some of the stories Neff tells before looking ahead to a future that could bring lidar to unpiloted air taxis, to the contaminated pipes of the U.S. nuclear weapons complex, and to satellites capable of pinpointing greenhouse gas sources from orbit. As the author makes clear, the sky is no limit with lidar, which promises to make our world safer, healthier, and vastly more interesting. Todd Neff is an award-winning science, environment, and healthcare journalist. Previously, he was science and environment reporter for the Boulder Daily Camera and a 2007-2008 Ted Scripps Fellow in Environmental Journalism. His work has appeared in Smithsonian Air & Space, Business 2.0, Mashable, and Compliance Week, among other publications. He is the author of From Jars to the Stars, which won the Colorado Book Award for history in 2012.